Engagement is such a magical time of a bride’s life, but it can also be daunting. These are the months you endlessly prepare for the wedding, scroll through Pinterest looking for inspiration, pinpoint every detail for the wedding day, and make sure stress doesn’t make your skin breakout. There’s a lot to balance. However, one part I do remember thoroughly enjoying (besides the bridal showers) were the engagement pictures! I looooovvvvveeeeedddddd taking pictures with Ethan while we were engaged. Now, we were a special case because I actually knew my photographer very well after working as her assistant and a model for almost three years. So I knew what was in store with our session and it made me extremely excited to imagine the outfits, the scenery, and the magic captured through the camera lens. Nonetheless, I know not every bride dreams about her engagement pictures like I did and not every bride knows how to properly practice and prepare for those two golden hours on the day of their shoot. Working in the photography field myself, I see many conversations from clients looking for information so I decided it’d be helpful to write all of my advice here to offer it to all future brides. I can’t stress this enough, if you don’t like, or even love your photographer, you will not enjoy the experience and it’ll show in your pictures. I always suggest to bride’s to look in every available resource for photographers. Facebook, Thumbtack, WeddingWire, The Knot, all of them. Ask your friends who they used, what they liked about them or didn’t like about them. Research photographers work and see what catches your eye the most. Do you favor light and airy with lots of natural lighting or do you prefer artistic and dramatic that adds extra flair to your photos? Once you figure out what you like in a photographer and their style, then narrow it down to those that meet that criteria. Message those photographers, talk to them, get know them, I even recommend you and your fiance meeting them for coffee or chai tea lattes. I recommend your fiance going with you so he knows who he might be paying the money to (;. Come prepared with questions and thoughts that you might have for the shoot. This is a great time to figure out if you two will truly mesh to create those beautiful images. Have Lots of Conversations With Your Photographer Before The Shoot. Yay! You have decided on a photographer that matches you and your fiance’s needs, mainly yours though if we are being honest here, right? Now comes more decision making. There are choices to be made on location, outfits, date, season, etc. Truly, it is a lot to think about. However, that is where your photographer can really come to the rescue. Seasoned photographers (and even photographers assistants) have a lot of hidden knowledge on matching skin tones with colors, or the best locations that might not be listed in Google Maps. Always ask them for their opinion if you’re not sure about something. Trust me, photographers love to be as involved in the process as possible to make sure you get the most out of your shoot. Finding The Right Day and Time. Deciding what season to take your pictures during, can sometimes depend on when your wedding is. Our wedding was in the fall, so we had our pictures done in the springtime. You can also decide the season of your pictures simply on it being your favorite. If you enjoy the fall foliage; the reds, oranges, and yellows of the leaves then go with autumn. If you enjoy snowball fights and cozying up with hot cocoa and lots of marshmallows then you should choose winter. It all depends on what you want in your pictures. The day doesn’t quite matter as much as the time of day does. Photographers usually like to shoot during the “Golden Hour”, which are the perfect hours to have your engagement shoot. These times are generally one to two hours after sunrise or two hours before sunset. So if sunset is at 8 p.m., you should start the shoot at 6 p.m. Honestly, this is where a lot of brides get stuck, so don’t worry, you aren’t the only one. First of all, decide whether or not you want your shoot to be more casual or more formal. If you’re more casual, your outfits should be comfortable, cute, and represent you and your fiance to a tee. If you are wanting formal pictures, I recommend having one outfit that is the level of formal you want (this could be A. Ready to go to a ball. B. Black Tie Event. C. Festive Event. ), one outfit that is dressier that you could wear to tea if need be and one outfit that is entirely casual and your everyday-outside-of-work style. Instead of trying to match with your fiance, coordinate colors with him. Light blue and white go nicely together. Bright red and straight black is always timeless. Yellow goes really well with denim, white, gray, brown as well. Bold jewelry, colorful shoes, hats, and scarves are really great and lots of fun in pictures. Layers like vests, cardigans, jackets are wonderful too. Try to stay away from small prints like tiny floral patterns. Also feel free to check out my Pinterest board Engagement Picture Outfits for inspiration. Think about what you and your fiance enjoy doing together. If you two like to read books, tell your photographer, I’m sure they’d have some great ideas for that! Or any sports you play together, go hunting together, maybe even just snuggling on the couch watching Netflix. Whatever is your “thing”, tell us! We want to make sure you are staying true to yourself in these pictures. Also, if you have “fur-babies” or regular babies and want them in your pictures as well, bring them along! We love it! If you’re not an outdoorsy person, I don’t recommend doing your session in a field of wildflowers and mosquitoes. However, if that’s the look you’re going for, just make sure you bring bug spray. I’ve seen engagement shoots done in coffee shops, the mountains, the beach, ball parks, even in peoples houses. It is what you want from your pictures and the look you are going for in them. Keep in mind, if you want natural light, you will probably want to be outside. Again, this is another great conversation to have with your photographer and what they envision for your shoot as well. Please let your fiance know that these are not just your everyday pictures taken with an iPhone. Your photographer will be posing you in positions you aren’t generally in and asking you to hold a kiss or the “almost kiss” (that moment milliseconds right before your lips smooch) until they get the perfect shot. You’ll be smiling then straight-facing then back to smiling again for roughly two hours. If your fiance is anything like my husband was, I suggest bringing snacks for him to have in between moving from spot to spot. It just makes it easier on him. Yes, You’re Allowed To Say No! If you don’t like something, anything, your photographer suggests, please tell them no. It makes us so sad when our clients are not one-hundred percent on board with every element of their shoot. We want to love this experience from start to finish and never second guess a single picture in your album! Feel free to schedule your wedding day hair and makeup test on the day of your engagement shoot. This is a great way to see if it will stand the test of time and make it through a whole day of activity. If you don’t want to do that, I recommend wearing your hair and makeup the way you normally do. If your hair is usually straightened, wear it straightened or vice versa. Practice kissing and poses you like! Practice makes perfect, even for engagement shoots. Continue looking at Pinterest and sending ideas to your photographer. You’ll have to pick and choose which ones you really want, but more ideas the better! Bring extra outfits on the day of your shoot if you aren’t sure about the ones you have picked out. Your photographer will help you decide. You can also bring tons of jewelry, shoes, ties, accessories. We will help with that as well. Usually, as a photographer, we will bring these kinds of things, but if anything goes wrong with your hair and makeup or clothes, you will want to make sure you have help. I recommend, bringing extra bobby pins, hair spray, safety pins, mascara or extra lipstick. Keep in mind, lots of photographers include an engagement shoot when you book them for your wedding as well! Don’t stress about the weather. Photographers can usually make due with any sort of weather unless it’s incredibly windy or thunderstorms. Ladies, if you generally have shiny skin, wear a matte-finish powder or have blotting paper to pick up that excess oil. Right before your shoot is not the time to try a new hair color or that really cool smoky eye look you’ve never done before. Stick with what you are comfortable with so that you aren’t stuck with pictures that aren’t quite right. Clean your ring before your shoot so it is extra shiny! If you’re nervous about the shoot, DON’T BE! You picked your photographer to make you look good, to make you laugh, and to capture those moments you’ll cherish forever. Trust your photographer and do whatever they say and you’ll be just fine! 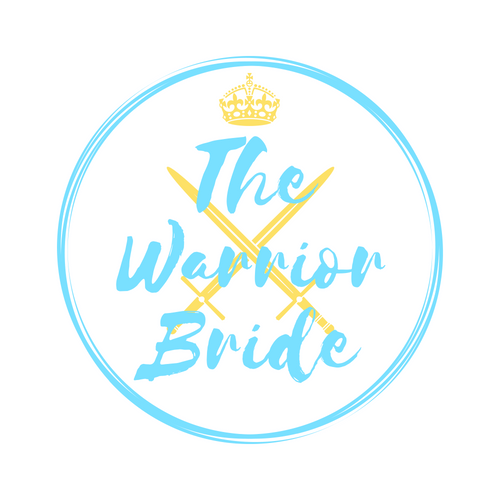 For any other questions you might have about preparing for your engagement shoot, please email me at thewarriorbride24@gmail.com! What are you doing to prepare for you engagement pictures? I’d love to hear from you! Next PostWhat It’s Like To Have Child-Like Faith As A Full Grown Woman.